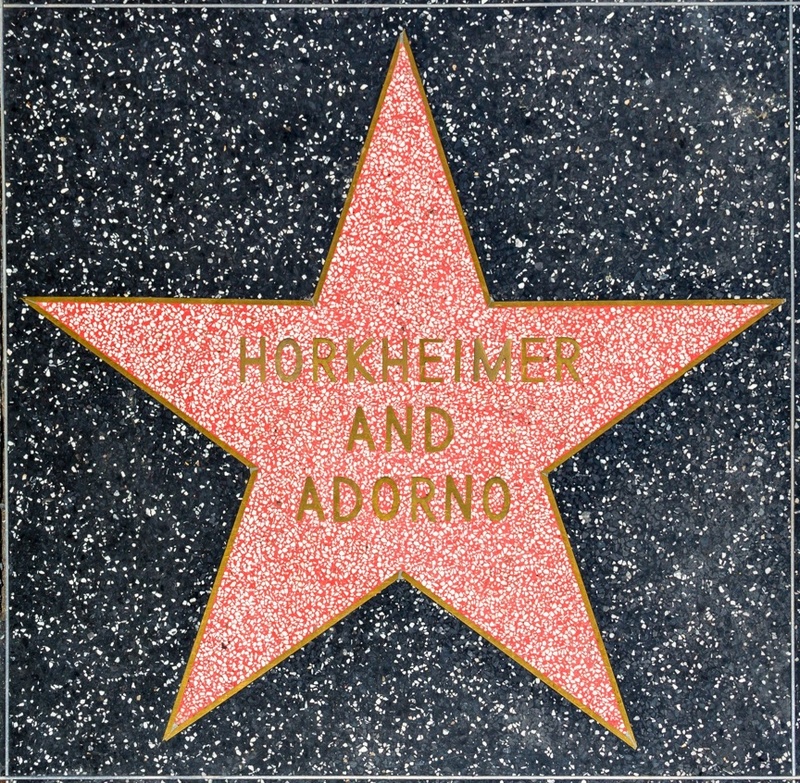 I’ve begun a campaign to get Theodor Adorno and Max Horkheimer a star on the Hollywood Walk of Fame. Their time in America, and in Los Angeles in particular, were highly productive years for the two of them, and though they were critical of Hollywood, and of the larger culture industry, I want to see that critique recognized right there in the middle of Hollywood Boulevard— or shown to be a part of a less-unusual-than-you-might-think dialectic between spheres like that of Hollywood and thinkers like Horkheimer and Adorno. I’ve created a homepage for this effort at www.thestarsdowntoearth.biz, as well as a petition to help garner support in several directions. Please visit, sign, and comment. Thank you.